It is always good advice to find out as much as possible about potential schools, and this listing gets students and their families off to a good start. It is designed to point out some of the most salient features of each program. Although many of the most well-known ranking services, like US News and World Report, Business Insider, Best Value Schools and Computer Science Degree Hub vary slightly on the actual ranking order, most include the following in their top eight picks. The Electrical Engineering and Computer Science Department (EECS) at the Massachusetts Institute of Technology (MIT) is one of the top-ranked programs both nationally and internationally. They offer undergraduate and doctoral degree programs in computer science with exciting specialization opportunities in subjects like aerospace computational design, computational biology, and artificial intelligence. The program is intense and competitive, but graduates with a Bachelor's of Science degree are in high demand and typically receive a starting salary of more than $75,000. Their Computer Science and Artificial Intelligence Laboratory (CSAIL) provides students the opportunity to participate in ground-breaking research in collaboration with award-winning faculty and industry leaders in order to gain valuable hands-on experience in their chosen career fields. In the CSAIL lab, students can work on a huge variety of projects, like improving a robot's interaction with humans or developing new technologies for protecting and securing online data. MIT has many notable alumni, including Alex Rigopulos, who developed the video games, Guitar Hero and Rock Band. There are numerous Nobel Prize winners among the alumni as well. Tuition at MIT is approximately $40,000 for undergraduate students and approximately $46,000 for graduate students. However, MIT is committed to making the program accessible for all qualified candidates, regardless of financial circumstances, and thus offers need-based financial assistance. The average scholarship amount is more than $36,000 and the overall average financial aid award is approximately $43,000. More than half of the students attending MIT receive need-based aid. The School of Computer Science at Carnegie-Mellon University is also nationally and internationally recognized. They offer a variety of Bachelor's, Master's and Doctoral programs with specializations in an array of computer science disciplines, including robotics, artificial intelligence, human-computer interaction and a host of others. A number of their faculty and alumni have received the A. M. Turing Award for contributions in a number of domains including cryptography and the psychology of human cognition. 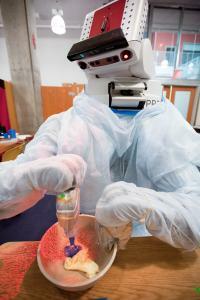 The school leads one of the most cutting edge research departments in the country. For example, one of the most recent new research projects at the school involves making a new kind of tweezers made from sound waves that can be used to move individual cells without damaging them. These acoustic 'tweezers' can be used in three-dimensional bioprinting, which aims to construct human organs, like livers, kidneys or skin, out of living tissue for transplanting or grafting. Undergraduate tuition at Carnegie-Mellon for the 2016-2017 academic year is $51,196. Slightly fewer than half their students receive need-based aid and the average financial aid award is approximately $36,000. Of their 2015 graduates, 85 percent were employed full-time with another 10 percent going on to pursue a graduate degree. The computer science program is approximately 31 percent female, a rarity in the field. Stanford University's Computer Science Department is located in the heart of the Silicon Valley and offers Bachelor's, Master's and Doctoral degrees with tracks in a variety of areas such as artificial intelligence, biocomputation, human-computer interaction and a host of others. Students can even custom design their curriculum to meet their specific career goals. Many of their faculty and alumni have won the prestigious A. M. Turing Award as well as numerous other awards. The Computer Science Department has close ties with companies in the Valley, several of which were started by Stanford graduates. Undergraduates are encouraged to get involved in teaching, research and internships. Bachelor's level students have the opportunity to lead discussion sections in the introductory computer science course and there are a number of different labs from which to choose as well. The Stanford Artificial Intelligence Laboratory (SAIL), which opened in September 2015, in collaboration with Toyota, is working on ways to teach a computer how to see and comprehend the objects that it visualizes. One of the ultimate goals will be to develop more autonomous automobiles in order to reduce traffic casualties. 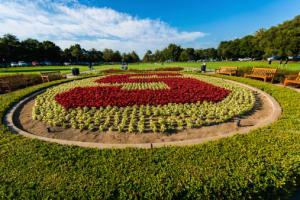 At Stanford University, tuition is approximately $46,000 per academic year. However, Stanford provides numerous scholarships and need-based aid for a majority of students. Additionally, the university has made a commitment to make tuition affordable to all talented students and provide free tuition to qualified students whose family incomes are less than $125,000 annually. If a student's family makes less than $65,000, they can have free room and board as well. In exchange, the student must work part-time to contribute $5,000 per year. Stanford prefers that its graduates complete the program while remaining debt-free. About 77 percent of their students graduate with zero debt. The average starting salary for a Stanford computer science graduate is around $90,000. Mega companies, like Facebook, Google and LinkedIn start new hires even higher; as much as $150,000. The Electrical Engineering and Computer Science Department at UC Berkeley offers its students Bachelor's of Science, Bachelor's of Art, Master's and Doctoral degrees in computer science. They also have a five-year Master's program for highly motivated students. The two Bachelor's level programs have the same computer science requirements, but the B.A. is designed for computer science majors whose primary interest in the business applications of the field as opposed to the more technically oriented B.S. degree. UC Berkeley's faculty members include winners of a number of awards in computing and science, including the National Medal of Science and the National Medal of Technology and Innovation. Gordon Moore, co-founder of Intel, one of the largest and most respected makers of semiconductor chips, is an alumnus. There is a huge variety of research centers available for computer science majors that encompass projects from quantum computing to nano-medicine. The Biomimetic Millisystems Lab is attempting to emulate certain features of animal movements in high-performance millirobots. Students working in this lab work closely with biologists in order to translate animal movement into practical applications in robots. UC Berkeley offers students with less than $80,000 in family resources access to free tuition, and as a state school, their tuition is significantly lower than comparable private institutions, about $13,000 per year. Forty percent of the student body attends free and a total of 65 percent receive some form of financial aid. UC Berkeley has the lowest rate of student indebtedness than any other public university in the country. The average starting salary for computer science majors from UC Berkeley is almost $105,000. The Department of Computer Science at Cornell University offers a full range of undergraduate and graduate degree programs with a number of specializations. Students have the opportunity to learn from top-notch faculty, many of whom have won prestigious awards, like Dexter Kozen, who was honored this year with the European Association for Theoretic Computer Science Distinguished Achievement Award. This prize recognizes those who make outstanding contributions to theoretical computer science over a lifetime of scientific work. Students also have the opportunity to showcase their technical savvy by participating in boom (bits on our minds), an annual contest presented by Cornell that features student projects across a number of cutting-edge domains including robotics, artificial intelligence, phone apps, gaming and many others. Research opportunities are abundant and include a wide range of specializations in artificial intelligence, computational biology, database systems and graphics. Tuition at Cornell is almost $50,000 per year, but they provide need-based aid and scholarship assistance for their students. 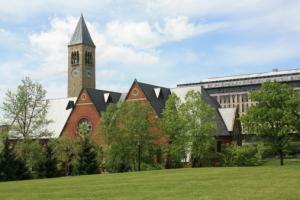 Additionally, Cornell is committed to keeping student loan debt low through a graduated student loan program. Students with total resources of less than $60,000 are not required to take out loans in order to finance their education. For those whose families earn more than $120,000 the cap is set at $7,500 annually. The University of Washington's Computer Science & Engineering program offers students opportunities to engage in cutting-edge research and learn from award-winning faulty members. Among their 50 tenure-track faculty many have won Sloan Research Fellowships and National Science Foundation Career Awards, as well as many others. There are 770 undergraduate students in the department. The Ph.D. program is offered for approximately 225 full-time students, but there is also a Master's level, part-time, evening program for working professionals. Motivated undergrad students can choose to pursue a five-year Master's degree as well. There are 17 different research centers studying a diversity of topics, including the UbiComp Lab, which stands for Ubiquitous Computing. This lab brings together computer science and engineering students to learn how microprocessors placed in everyday objects can facilitate advances in healthcare, sustainability, smart buildings and human-computer interaction. Recent projects include the development of smart phones that can assist physicians in monitoring lung function or jaundice in newborns. In-state tuition for University of Washington students is approximately $12,000 per year; out-of-state students can expect to pay approximately $34,000 per year. They are committed to making the University accessible to all students, regardless of their financial circumstances and offer a variety of different types of need-based financial aid. Princeton University's Department of Computer Science has been the home of some of the most famed computer science notables, like Alan Turing and Alonzo Church. The undergraduate department offers students two options for a degree, one geared specifically to computer science and the other that incorporates an engineering component as well. Students are strongly encouraged to design their own programs, based on their interests and career goals. Independent study is heavily emphasized in the program as well, and students must complete either a research project or a product design as part of their basic education. The graduate school includes both Master's and Doctoral degree options, but both are full-time, day programs. Their numerous research facilities include the Computational Markets, Economics, and Game Theory Lab which studies a diverse array of topics, including neural image captioning and low-latency interaction on mobile devices. Other centers include computational biology, computer architecture, security and systems among many others. 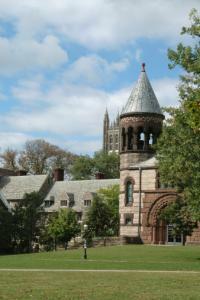 Princeton was the first university to offer financial aid packages that do not include loans as part of the award. The average grant amount for 2014-2015 covered the full cost of the $45,000 tuition for approximately 60 percent of incoming freshmen. Princeton does not award grants on the basis of merit, but are committed to funding qualified students so that they have zero debt upon graduation. They use their own formula to calculate need, rather than the federal standard formula. The Georgia Institute of Technology's School of Computer Science is housed in the College of Computing, which offers 18 different degree programs to more than 4,000 undergraduate and graduate students. The degree offerings include a basic computer science degree, but students can also specialize in more focussed disciplines, like bio-informatics, computational media and/or human-computer interaction. While their research facilities offer students all the basics in computer science study, cross-discipline research is heavily emphasized in order to meet the challenges presented by an increasingly complex computing world. Their Algorithms and Randomness Center (ARC) is the think tank for theory of computing and optimization. The center attempts to solve real-world issues that have natural connections to algorithms and randomness. Tuition for in-state residents is approximately $9,000 and $28,000 for out-of-state residents. In addition to need-based financial assistance, they offer a number of merit scholarships, fellowships and grants. Though educational loans are still part of the award package, Georgia Tech has been rated as one of the highest schools for the financial return on the educational investment. Though admissions are selective for these top-rated colleges, getting a degree from any one of them will give students a great start on a challenging and interesting career. Computer science majors have a diverse array of specializations to pursue, and more advanced technology and computing will continue to increase these options. Choosing the right school is not only a matter of choosing a well-ranked program though; students should think about personally relevant factors as well. These could include the campus setting, the number of students enrolled in the program, class size and faculty to student ratio among many others. Cost of attendance is often the largest factor that student must take into account, but many of these programs provide ample financial support for talented students. The elimination of loans as part of the financial aid package is a huge plus, as students who graduate with a computer science degree will likely make a very good starting salary without the burden of debt that many students face upon graduation. Planning ahead and considering all the relevant factors will start students on a strong path to success, both with their education and their ultimate careers. An education in computer science offers students an excellent degree with tremendous return on the educational investment in addition to a plethora of exciting and varied careers to pursue. Computer science graduates work in all facets of business and industry; everything from animation to systems engineering.